Wings aren’t just for game day. 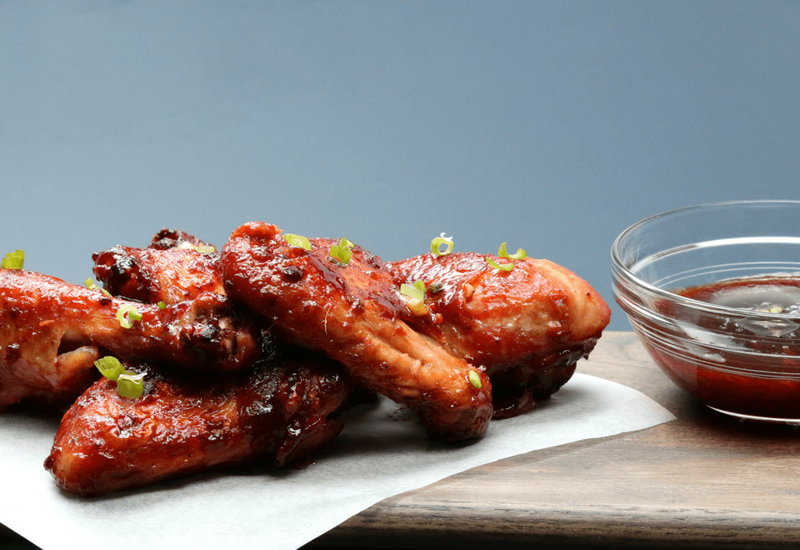 Here, baked chicken wings and drumettes are baked until crispy instead of fried, then tossed in a lightly spicy, sweet, and addictive Vietnamese-inspired glaze. Not in the mood for sticky wings? These wings are simple and delicious without the glaze, too! Per Serving: 1033 calories; 69g fat; 13.1g carbohydrates; 85g protein; 485mg cholesterol; 3802mg sodium. Ok guys.... I had no idea I could pull these off! The fish sauce really shines in this recipe, my husband even said these were pretty close to the vietnamese chicken wings we love at a local restaurant. I used liquid aminos rather than soy sauce to reduce the salt content, still tastes great. Yep, fish sauce is starting to really grow on me. Usually I stray away from even the slightest recipe that calls for more than a tablespoon of it cause it tends to overpower a dish completely, but this surprised me. I thoroughly enjoyed the marinade on these wings. For a little extra heat, add one more tablespoon of sambal and pair it with a nice, cold beer. The sauce on these wings is incredible. I will definitely be making these again on the next game day. The fish sauce was just the right amount, not too overwhelming. I added a little more sriracha than the recipe, just for some extra spice. Had to go to an international foods market to buy sambal oelek, but it was definitely worth the trek. I used drumettes exclusively and it was delicious! I used sriracha and ginger paste for this recipe, because those were easier to find at the store. I made half with the glaze and half without, and I must say, both were delicious.